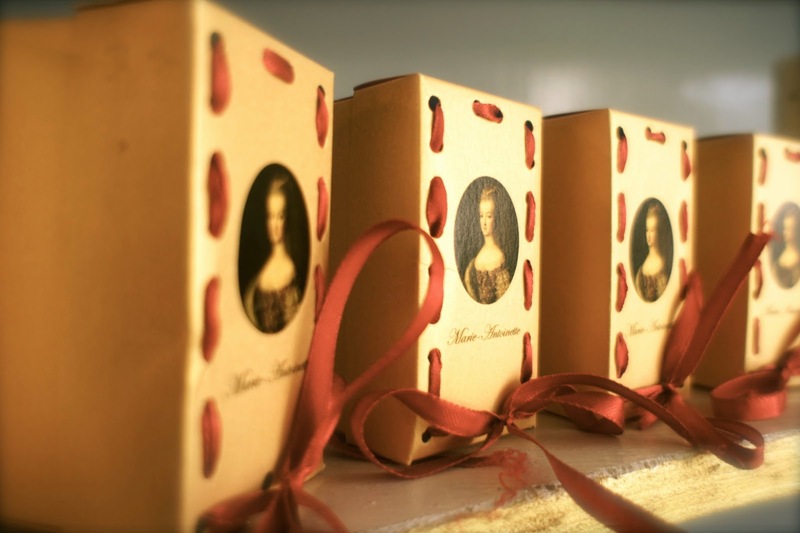 Mr Jules and I were lucky enough to be invited over to Marie-Antoinette on Saturday to try out a selection of their delectable patisserie items. Never ones to turn down cake, you couldn't get us there quick enough! I was also particularly keen to visit Marie-Antoinette after learning that the patisserie was set up by two expat entrepreneurs. 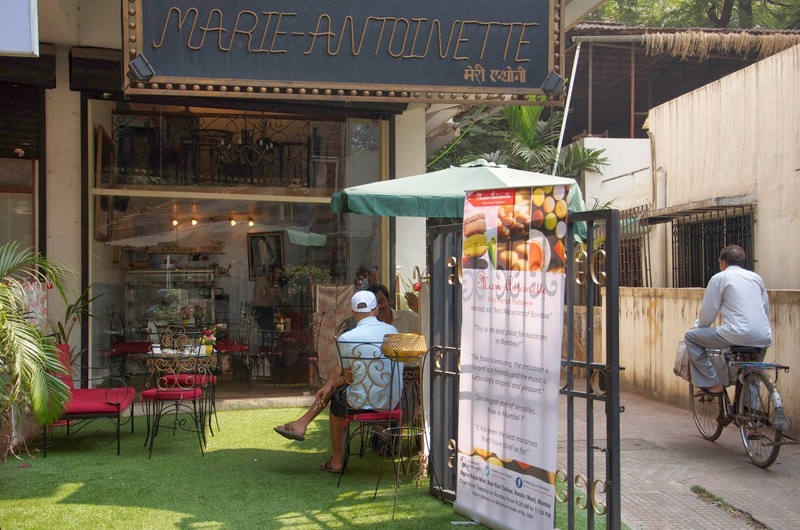 Marie-Antoinette is Mumbai's self proclaimed 'first uniquely French Patisserie'. 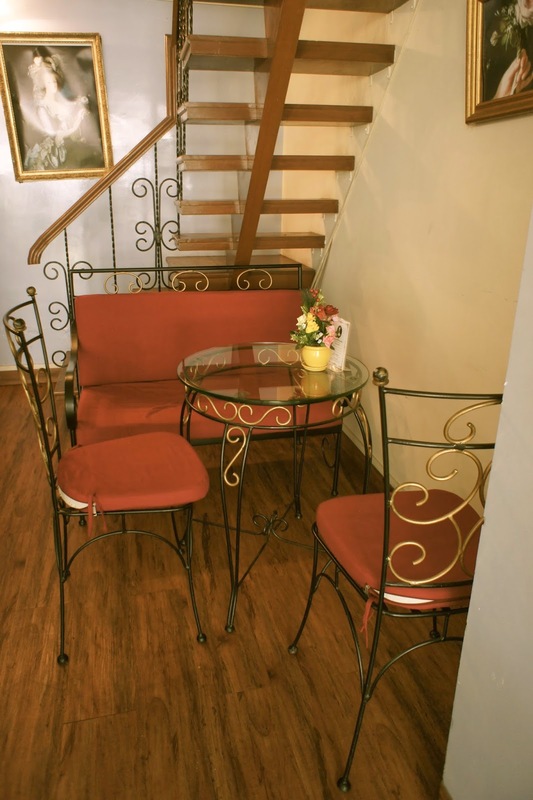 True to its word, the eaterie is French owned and purveys all-French food items. The interior is delightful - the charming wrought-iron bistro furniture, toile backdrops, vintage bone china and colourful flower arrangements are reminiscent of many a Parisian boulevard café. 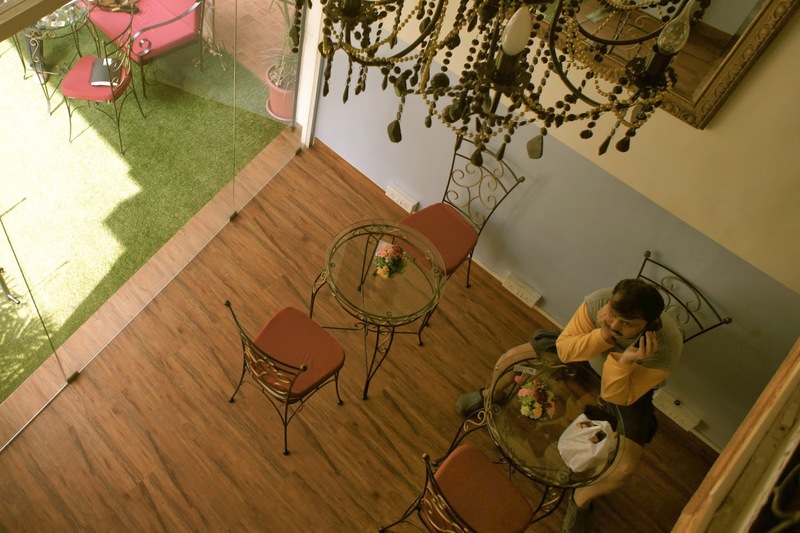 Just like The Breakfast Club and Good Juicery expat businesses that I have written about previously, - it is again young expats who have been brave enough to set up shop in India. At the age of only 23, Severine Bresson and Marc de Vezin were in fact, on a gap year from their economics degrees at the Sorbonne (no less) when they decided to start a business in Mumbai. 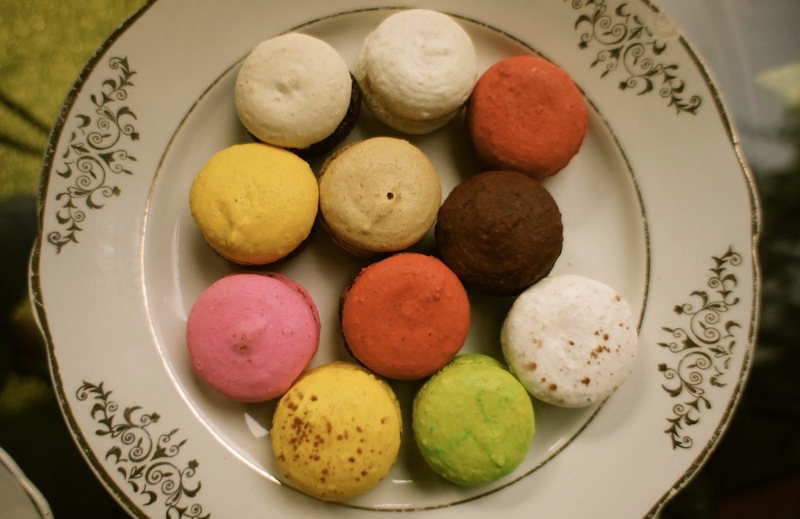 Spotting a gap in the market for genuine homemade macarons - small, sweet and colourful and definitely appealing to the Indian aesthetic, they decided to bring Paris to Bandra. It is common knowledge that establishing a business in this country is challenging - even if you are local - so I utterly respect young Severine and Marc's entrepreneurial spirit and courage. 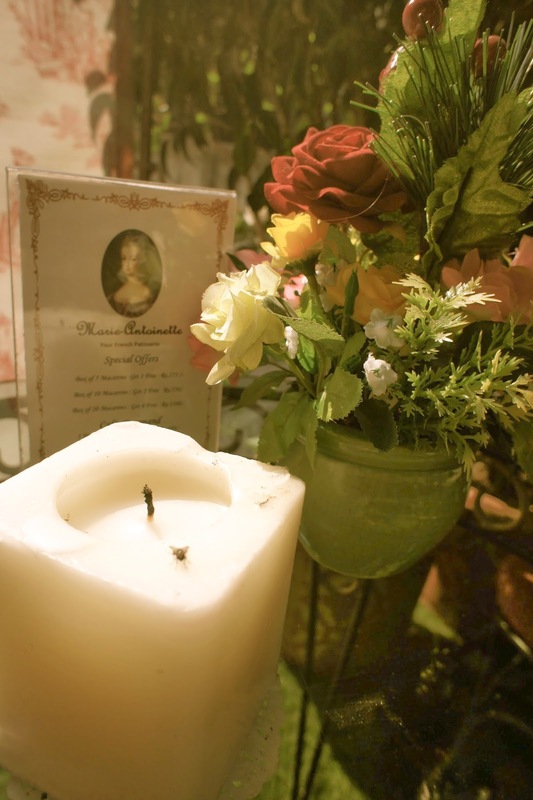 The menu at Marie-Antoinette has since been developed with a French chef to include a plethora of French classics. 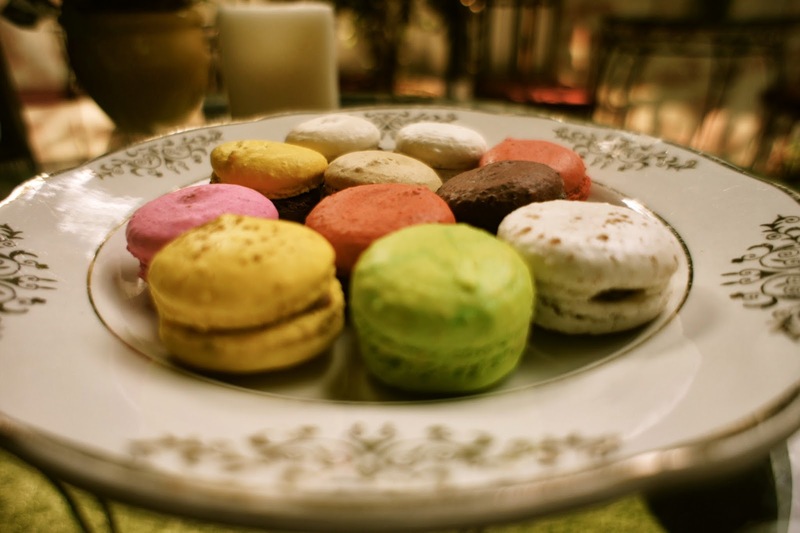 As well as the all important macarons, you will find 'Financiers' (gold bar shaped cakes made with almond powder); Madeleines (traditional 17th century biscuits); crème brûlées and choux buns. 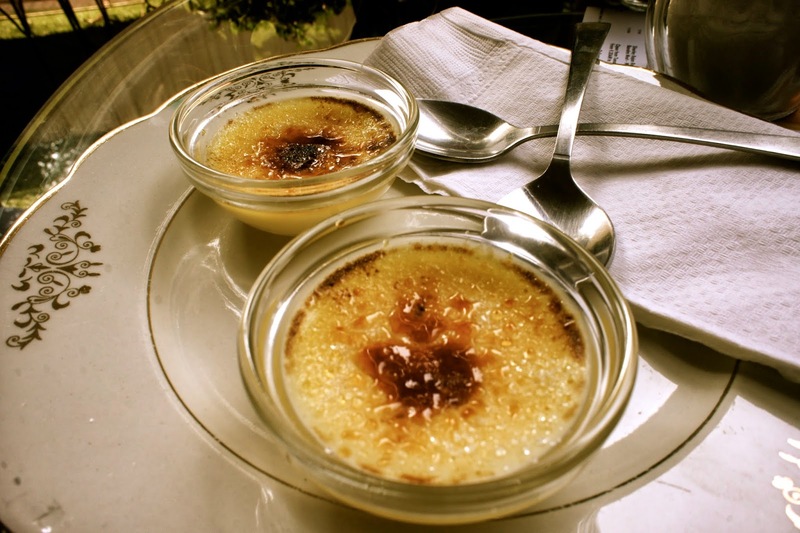 The less sweet offerings include French Toast (pain perdus), tartines, quiches and the most famous of all French dishes - the Croque Monsieur. You will also find a selection of cheeses made in the ex-French Union Territory of Pondicherry. And nothing is 'Indianised!' - no chilli where it is not needed, no masala in your tea, and everything has the correct consistency and size. Here I have found a true authenticity which is usually so lacking in Mumbai's European-style eateries. 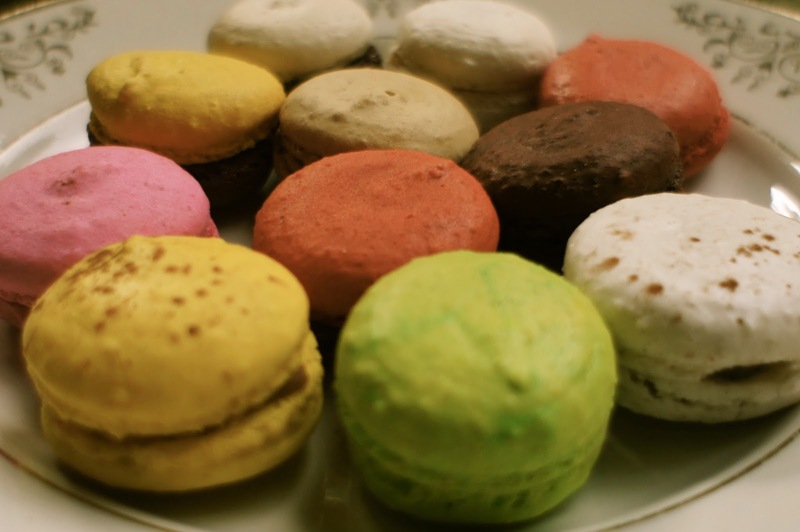 Mr Jules and I tried three items from the extensive menu: a colourful plate of individually flavoured macarons (including the new 'cheese and cinnamon flavour - don't knock it until you've tried it! 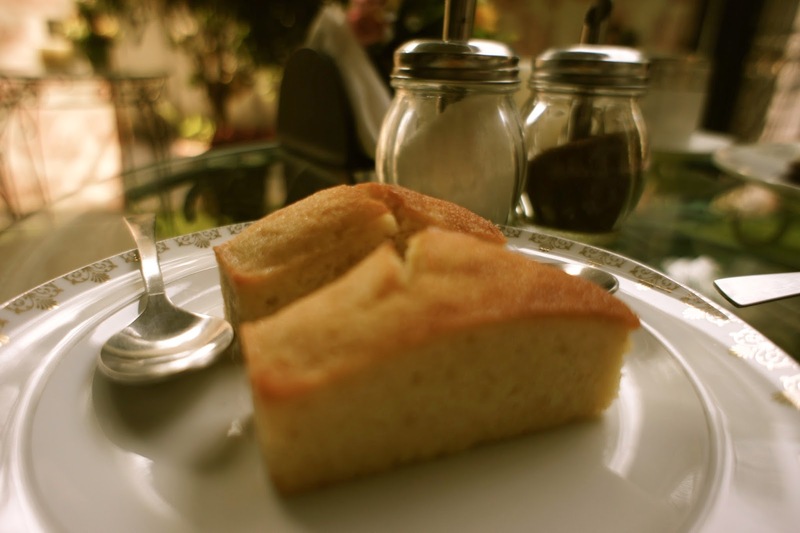 ), the springy Financier sponges and the crème brûlées (and all washed down with some excellent cappuccinos). 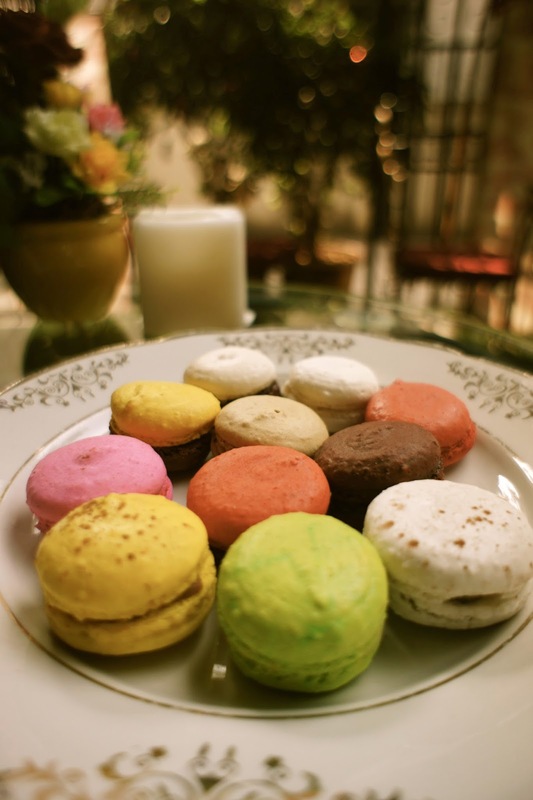 Now, macarons are all the rage in Mumbai at the moment - mostly due to the overwhelming success of Pooja Dhingra's 'Le15' patisserie - with its perfectly smooth, elegant macarons and distinctly Parisian packaging. 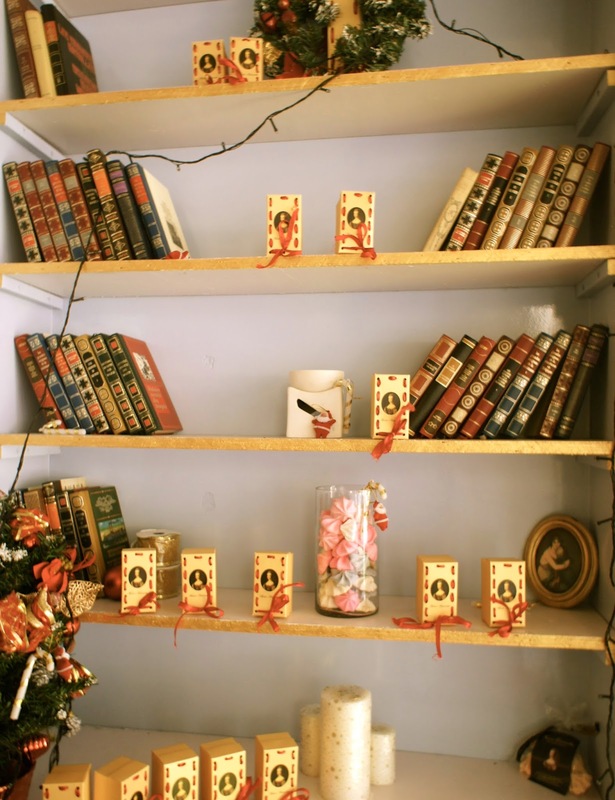 But I have to say, I found the selection at Marie-Antoinette to be a little more authentic - 'rustique' even. Each mouthful contains texture as well as an explosion of flavour - banana and chocolate, rose, coffee, salted caramel and of course the new cheese and cinnamon flavour - in which the sweetness is pared down by the cream cheese - I loved it! 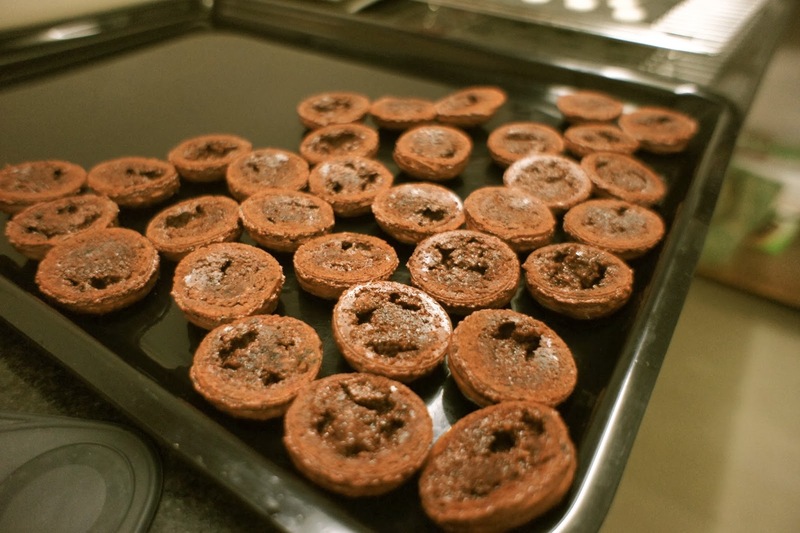 Not being much of a baker myself, I was told that it is the addition of the correct amount of almond powder that creates the right texture and crunch on the outer casing, hence the more 'rustique' appearance. There are currently nine flavours and colours and I think we tried most of them! 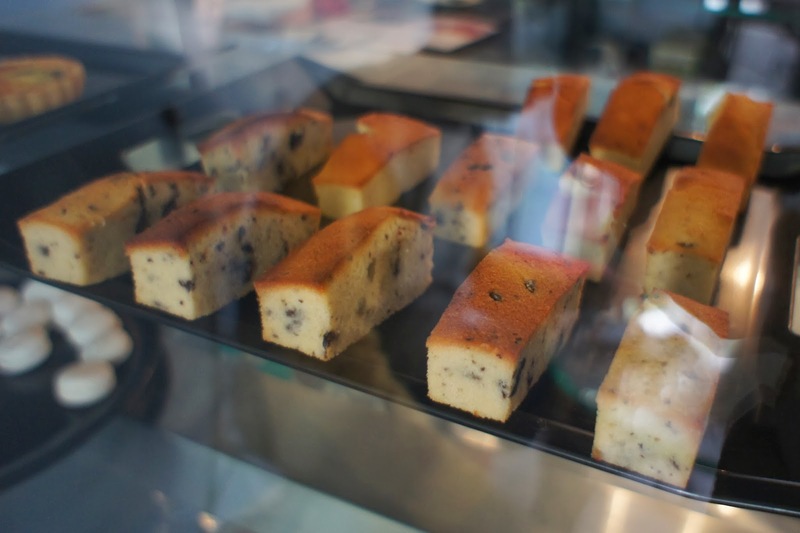 The Financier cakes (which are eggless) really transported me back to lovely weekends in Paris - a dense moist cake that goes so well with coffee and the crème brûlées were the best I've had in Mumbai (and I've tried a lot - it's my favourite dessert). A triumph! 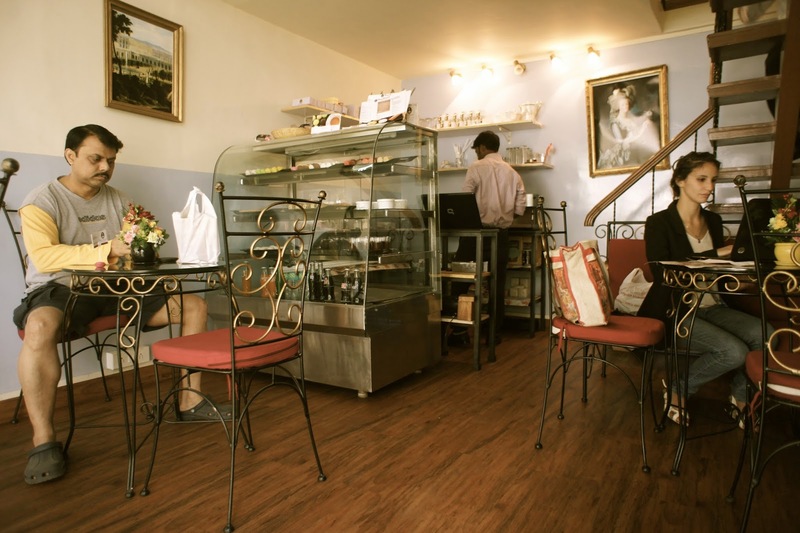 For a corner of Paris right here in Bandra, you need to get yourself along to Marie-Antoinette. 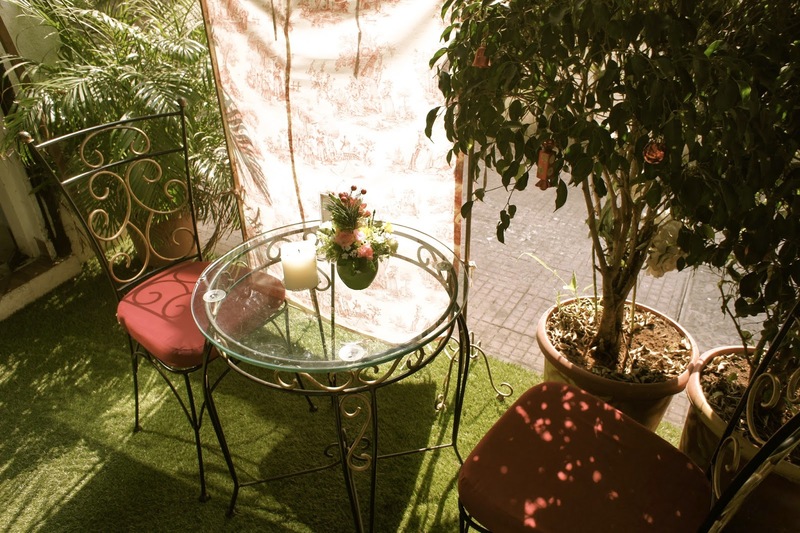 There is a charming garden out front (complete with child-friendly astro turf!) and the vibe is very relaxed. Needless to say...the French delicacies are ...delicious! 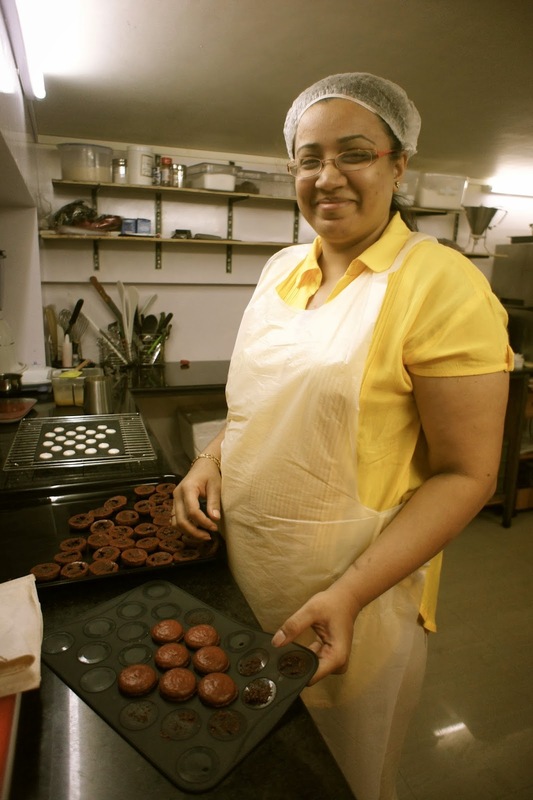 Upstairs, Tasneem demonstrates her macaron making skills.....and it doesn't look easy! 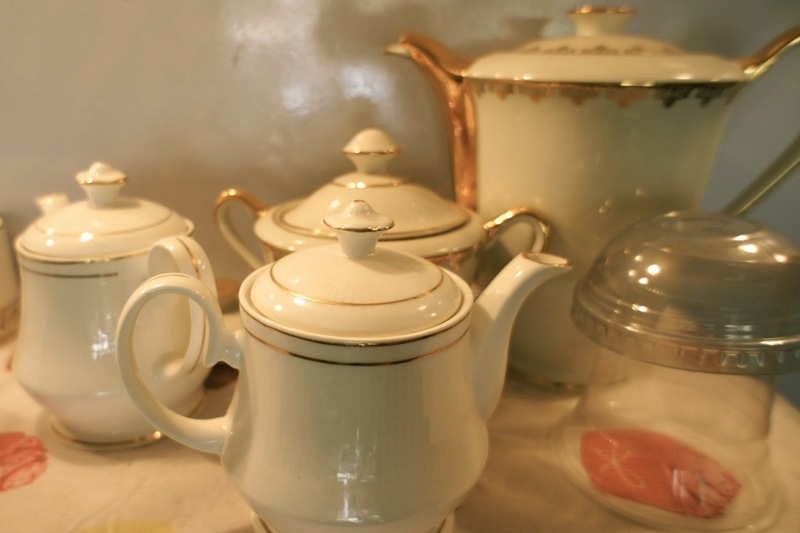 Tea and coffee is served in 'proper' bone China at Marie-Antoinette. I love the toile backdrops to the outside seating...ooh la la! 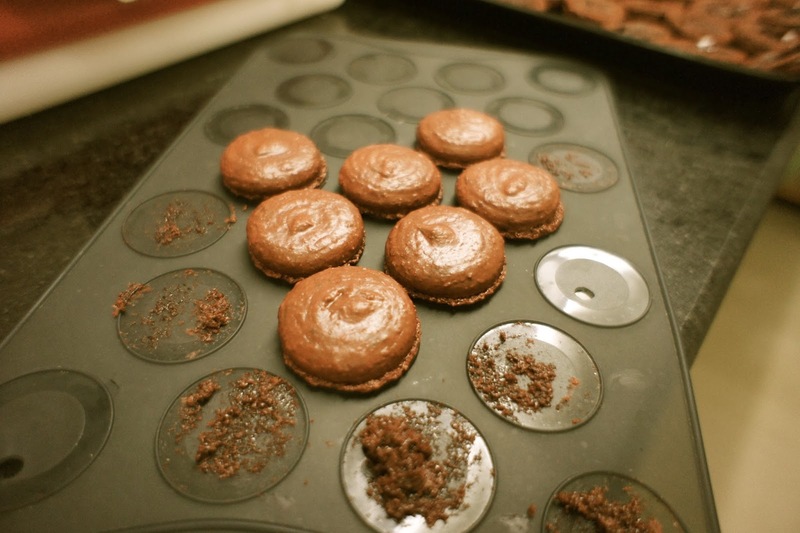 Macarons 6 for Rs 275, 12 for Rs 550 and 24 for Rs 1,100. Fantastic! I'm so going to visit Marie-Antoinette soon. By the way, Chumbak has announced an online sale: http://www.chumbak.com/sale.html - your bobbleheads are not discounted though. awwww....and I forgot to buy one for Mr Jules for Christmas too! Great post!! 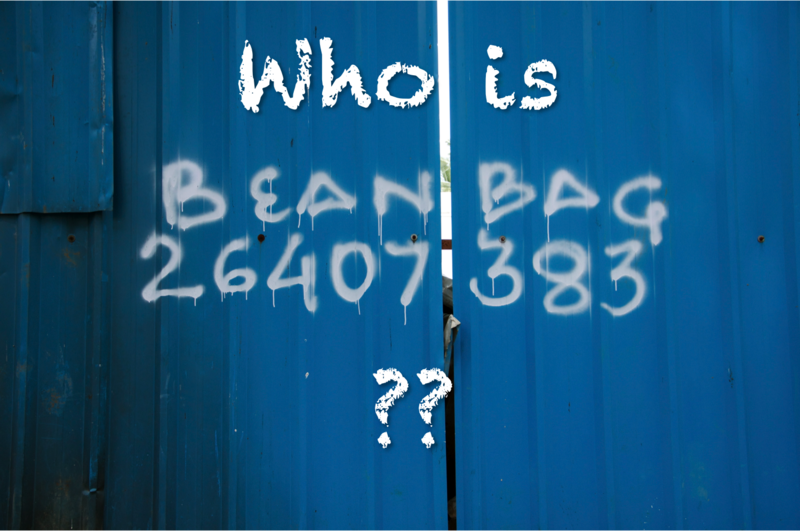 I had no idea about this place! It looks amazing!! I will have to try it!